Are you going to gamble at Kroon Casino and do you want to have the opportunity to play as if you ended up at a land-based casino? Then we have good news for you. Kroon Casino offers the opportunity to gamble live, which means that you can start as a player at the live casino at a gaming table and play against a real dealer. In order to be able to gamble live, various gaming tables have been specially equipped with cameras. You can gamble on tables like roulette, blackjack and punto banco which are also shown below. Click here and play at the excellent Live Casino! Winning with a live dealer at your gaming table at Kroon Casino can happen immediately at one of the tables below! When you gamble at Kroon Casino live casino, you should know that the dealers at the various tables is well-trained staff. So they know all the ins and outs of the rules and will apply them in a very honest way with every round of play. Also when it comes to fair opportunities for winning, you will be at the right place at Kroon Casino! The most played type of table game that you can find in the live casino at Kroon is live roulette. If you are going to play Kroon Casino live roulette you will immediately see a gaming table in the special interface, and you will of course also see the dealer who has to lead the game. Stakes are placed with chips of different colors and values. If you go in you can choose different options. So you can opt for inside bets or outside bets. If you choose an inside bet you will bet on direct numbers and when betting on outside bets you play on a series with numbers. In the latter case you can, for example, bet on 12 or 18 numbers at the same time and spread the risk of loss in one fell swoop by placing only one chip. Have you placed all your bets within the time limits? The dealer will let the ball circulate in the cylinder and show which number will be designated as a winning at standstill. Not only live roulette is interesting to play at a live casino, but the chance to play live blackjack is also a must. When you choose to play live blackjack, you will be able to place your bets in the interface. You choose a bet with the chips to share your hand and you immediately get 2 open cards when the time limit has expired. Your goal while playing live casino blackjack is to get as many points as possible with one hand, but not more than 21. Have you achieved this goal and more points as the dealer on your screen? Then you win a payout. To get to a point total you can, of course, choose different options each time with a time limit. You can split on the same card, double by 9, 10 or 11 points and take a card if you think you have too few points to win. The last game, which is certainly not the least to play, is live punto banco. 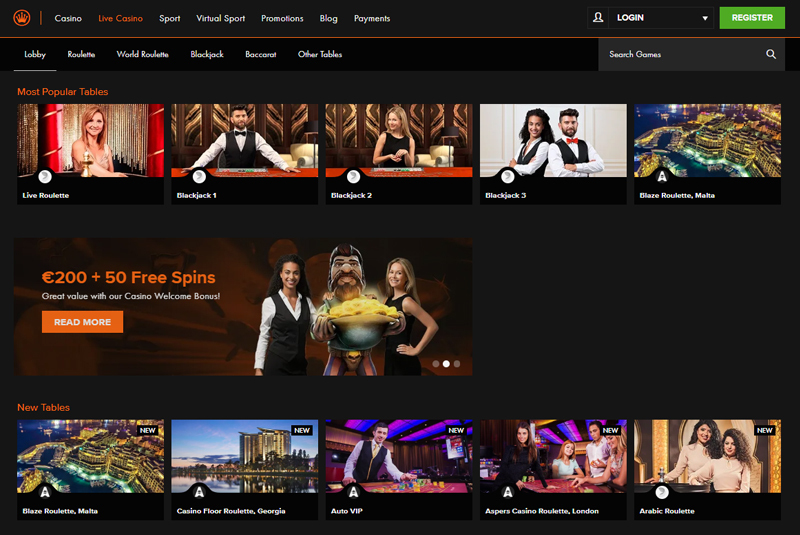 If you are going to play punto banco at a live casino, you should know that Kroon Casino has used the simplest lay-out, so you can immediately enjoy a good overview of games. The rules that are used online at punto banco are not difficult to understand, which makes the game interesting for the new players among us. When you play, you bet on player, dealer or a draw. To determine a result, 2 hands with cards are dealt. A hand can consist of a maximum of 9 points and the hand with the highest number of points wins. You do not have to make decisions yourself, but rules are applied in a fixed manner. As soon as a result is known, you can win up to 9x your bet as a prize in this way! 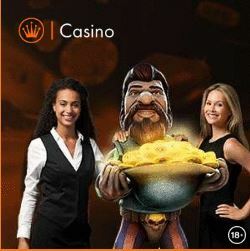 This is a fansite of the website Krooncasino.com. The owner of Kroon Casino is Corona Ltd.
We are in now way connected to Corona Ltd and any of their websites. We don't offer online gambling but just provide our visitors with usefull information about Kroon Casino.